﻿ Jeju Pent House, Jeju Island - SAVE ON AGODA! Have a question for Jeju Pent House? 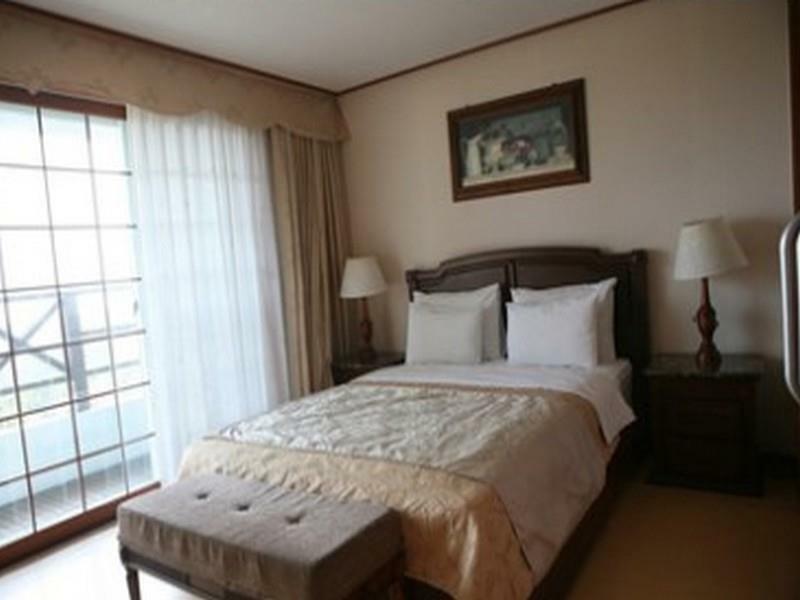 Ideal for fun and relaxation, Jeju Pent House is located in the Seogwipo area of Jeju Island. From here, guests can enjoy easy access to all that the lively city has to offer. This modern hotel is in the vicinity of popular city attractions such as Jeju World Cup Stadium, Yakchunsa Temple, Seokbujak Museum. Offering hotel guests superior services and a broad range of amenities, Jeju Pent House is committed to ensuring that your stay is as comfortable as possible. The hotel provides free Wi-Fi in all rooms, 24-hour front desk, express check-in/check-out, luggage storage, Wi-Fi in public areas to ensure our guests the greatest comfort. In addition, all guestrooms feature a variety of comforts. Many rooms even provide television LCD/plasma screen, internet access – wireless (complimentary), air conditioning, heating, desk to please the most discerning guest. The hotel offers wonderful recreational facilities such as outdoor pool, garden to make your stay truly unforgettable. With an ideal location and facilities to match, Jeju Pent House hits the spot in many ways. We took a family room, the rooms were relatively clean. We were caught offguard when there was only one queen size bed. The other room had only korean style beds. 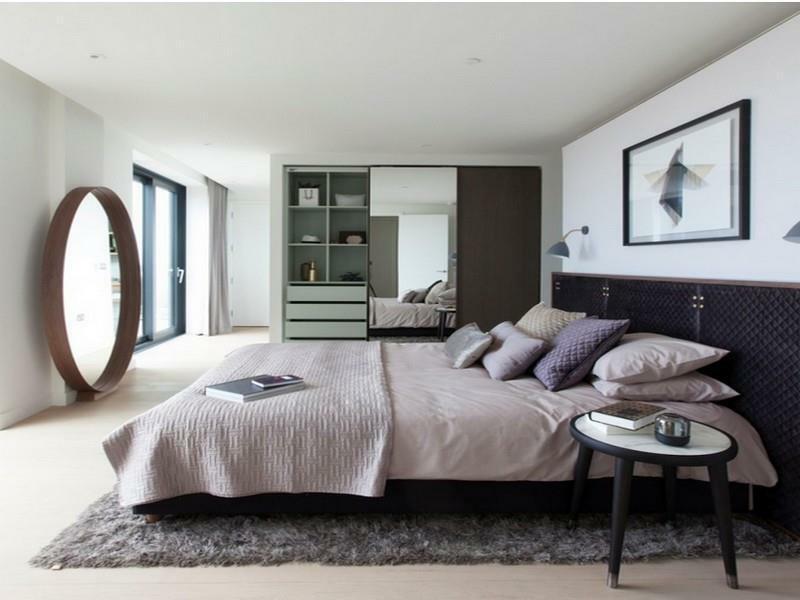 Pictures on the net shown that there was 3 bedroom but it turn out to be 2 bedrooms only. It was like staying in a typical korean apartment. The carpark was just downstairs of our apartment. Overall, the stay was pleasant. We thoroughly enjoyed the stay and the place was surprisingly easy to locate with an eng GPS. It really was like an apartment and you can buy food from the nearby emart to cook a simple meal as all cooking utensils are provided except a knife which you can buy if you need to use it. There is free wifii and cable tv though only a few eng channels but it was good enough. Do bring your own shower gel unless you're ok to use the bar soap provided (its used). I had a fantastic time at the hotel. There wasn't much to do which was expected. Good size balcony to hangout with beers or barbecue. Living room is great with good tv and stereo. Very helpful staff although English is limited. We stayed as a family of 4 in an apartment that (in theory) could accommodate 6 people. However the place is massive and there is lots of space even for 6 people. Be warned there is only one double bed though, the rest would have to sleep on the floor with mats. There are two bathrooms. The apartment is fully loaded with cooking and laundry facilities. There is a petrol station and an e-mart nearby. Not the easiest place to find so make sure you have directions ready or a GPS. A car is highly recommended due to it's remote location. Parking is free and there is lots of space. We enjoyed the place very much and would recommend no doubt. Very basic resort style 2 bed-room unit. Dont expect luxury (if you are looking for better accomodation, try the normal suites for couples not the family suites). Located within 10 min to the nearest E-mart, it is very convenient if you have a car. If you dont, pls look for another place to stay as the resort is quite far in from the main road. The room the room the room. I loved this room so much it actually felt like a nice apartment. Overall was good but the location was not very convenient. 2nd Time staying in this hotel, Have originally booked a Junior suit but they checked us into a family suit instead... well.. all the better! the room was huge for the price paid. clean and well equipped. but as mentioned before. there was no restaurant at the hotel, nor any within walking distance. so if might not be convenient if do not drive. but the hotel staff was to actually drive us to the Nearest E-mart to buy stuff to cook and then drive us back to the hotel. superb service there would have to say.. other than that it is basically a quiet and romantic location much suited for couples. the Jeju Pent House was a very comfortable and spacious place. We booked a Family Suite for 6 persons. the warm floor meant that my friend and I could watch tv til late and sleep in the living room. there were two toilets and a well equipped kitchenette for our use. they also set up the bbq pit and we just had to drive to the emart 5 min away to get our food. a car is definitely recommended for your stay here in Jeju. Very tidy room, I booked a room for six ppl and its very spacious with an open kitchen, very suitable to go there with a group of friends, public transport may not be convenient , we have rent a car. Staff were helpful in helping us to plan our itinerary despite the communication barrier. There are various attractions available within 10-15min drive. However, note that the way back could be dangerous at night as there are no street lights and the road up is quite narrow. Rooms are spacious. It would be great if there is wifi available in apartment instead of walking to the office. This hotel room is big for family or group of friend to stay together. Kichen is fully equiped. Big TV and with good sound system. Washer come with dryer, washing powder provided too. 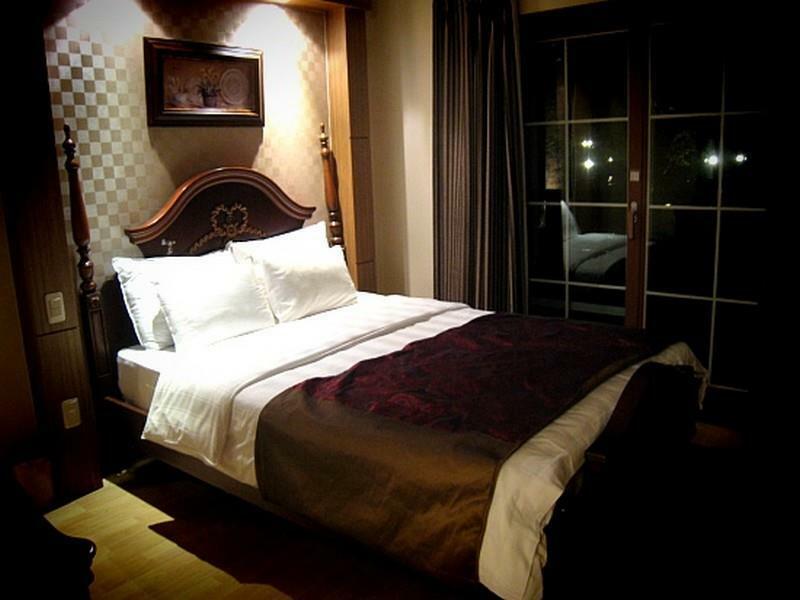 Hotel located out from main road and public transport, so is good for traveler who drive. Near by supper market e-market for daily supplies purchasing. Just beware of GPS may bring you to a narrow road which link to back door of the hotel. Nice place to stay however no nearby restaurant / place to eat. Might be inconvenience for those who don't drive a car to there. Fully equip, nice place to stay if you are driving. front does not ready speak english but manage to communicate. Room is ok but only supply 1 big towel, need to ask. does not have room intercom and front intercom, need to walk to front counter if need help. We decided to go to Jeju-do at the last minute. Most of the hotels we checked were either booked or not our thing. We took at chance with the Jeju Pent House and were very pleasantly surprised. We had a kitchenette (that came in handy! ), a separate bedroom, a nice shower and tub area, a playful little toilet seat with adjustable sprays (ooh lah lah! ), and a great view from our balcony. Decor was strange, with a lot of pictures of Hollywood actors (Gary Cooper?). The staff was invisible, as in they don't interact with you unless you ask them to. The biggest disadvantage is that if you do not have a car, you will have to take a taxi to the nearest shops and the bus station. It's about 3 miles, and not expensive, but it does mean that you won't be popping down to the store if you forgot some essential like sesame oil. Hotel is ultra hard to locate if you are driving on your own. GPS can't help cos location is up a small hill with no road signs! Room service was non-existent as I stayed for 3 days 2 nights but on the 2nd day, my room was not cleaned up when i went back in the night. Don't really think its worth it. Utilities are prvided for cooking, very suitable for family. Although the office is far from the suite, staff are helpful to attend our requests. The internet in our room wasn't working, they came down a few times to fix, though the problem was not solved. But we could still use the wifi in the office. When we book, the hotel in agoda web is marked wrongly on the map, it is at the world cup stadium area but not halla mountain area (not sure if it is corrected by now).